President Recep Tayyip Erdogan addresses the murder of Jamal Khashoggi on October 23, 2018. Turkish president Recep Tayyip Erdogan had promised on Sunday to reveal âin full nakednessâ what happened to Saudi journalist Jamal Khashoggi, who disappeared inside the Saudi consulate in Istanbul on October 2. On Tuesday, Erdogan presented a detailed account of the events surrounding the journalistsâ murder by Saudi officials, calling it a âplannedâ hit. 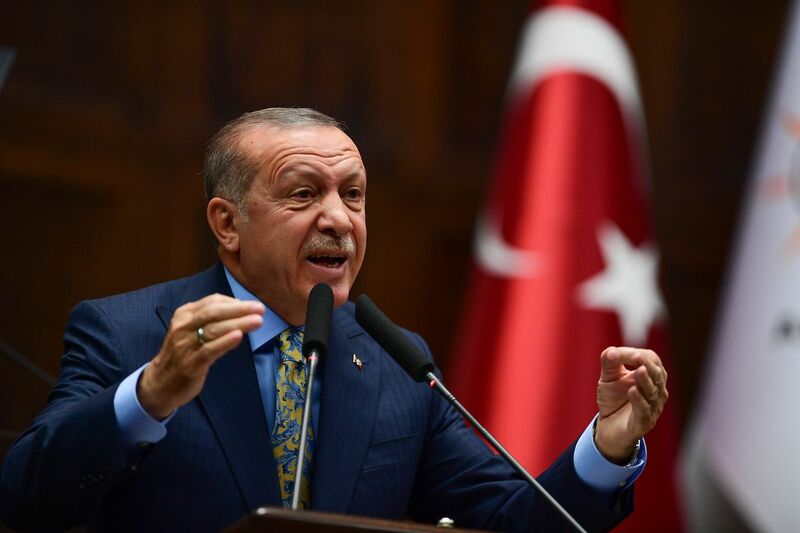 âIt is clear that this savage murder did not happen instantly but was planned,â Erdogan said during an address to the Turkish Parliament, according to the New York Times. The Turkish presidentinsinuated that the Saudi government had plotted for days to kill the journalist by presenting a clear timeline, thoughErdogan didnât address some of the most explosive claims that have been circulating in the media â" that Khashoggi had been dismembered and beheaded and that Turkish officials have an audio recording of his murder. Erdoganâs account fully contradicts the Saudi government narrative that Khashoggi was killed in a ârogue operationâ gone awry. But he stopped short of calling out Crown Prince Mohammad bin Salman (MBS), the countryâs de facto leader, by name. Erdogan insinuated that the Saudis began plotting against Khashoggi days before his death. According to Erdogan, the journalist first visited the Saudi consulate in Istanbul to obtain papers for his upcoming wedding on September 28. After his visit, some Saudi consular staff flew toSaudi Arabia. Then, Erdogan says, Saudi agents began returning to Turkey on October 1 â" the day before Khashoggi disappeared â" and casing areas outside of Istanbul. Erdogan said that this was âreconnaissanceâ work and that Turkish officials had searched these areas to uncover Khashoggiâs body. Erdogan also claimed that a Saudi team had arrived at the consulate and removed a hard disk from the CCTV there, implying that it may have contained evidence that officials didnât want anyone to see. The Saudi narrative, however, is quite different. This purported sequence of events has been met with skepticism, and leaves many questions unanswered, such as what happened to Khashoggiâs body. New details have also leaked â" mostly from Turkish officials â" that contradict this idea of a altercation, including surveillance footage that shows a Saudi official leaving the consulate dressed as Khashoggi body double a few hours after Khashoggi himself entered the the building on October 2. The Turkish president didnât address any of the more lurid details of Khashoggiâs murder in his speech. His goal, instead, seemed aimed at undercutting the Saudi story that the murder had happened by accident. Erdogan, who has a long record of cracking down on journalists and the free press himself, has a couple reasons to challenge Saudi Arabia. Turkey sees the kingdom as a competitor on the world stage, and Erdogan is trying to brandish his leadership both in the Muslim world, the region, and on the world stage. Erdogan tread carefully during his speech and did not call out MBS by name. But he dispensed with the idea that Khashoggiâs murder was the work of a few rogue Saudi officers. He made it clear that Turkey would pursue this case â" and called for the suspects to face prosecution in Istanbul, rather than Riyadh. Erdogan, in other words, is not going to let Khashoggiâs death quietly disappear. Trump may soon kill a US-Russia arms control deal. It might be a good idea. Trump says selling weapons to Saudi Arabia will create a lot of jobs. Thatâs not true.